Now on preorder for 99 cents is Starstruck Cowboy. Luke Tyler is a cowboy who will do anything to earn money to buy back his ranch. He takes a job as a stuntman in a B movie, and finds himself also playing the lead role. When they start filming on location at the Bright Star Ranch, he meets the rancher’s feisty daughter, Star Brighton. Star can herd cattle, rope a steer, ride a horse and run a ranch better than any of the hired hands. But when her mother rents out their ranch to Valens’ Motion Pictures, she’s not happy. The womanizer, Luke Tyler is someone she can’t stand. That is, until he kisses her and her opinion changes quickly. This book is actually a book I wrote at the beginning of my writing career about twenty years ago. I thought it was lost forever when I switched over my computers. But recently, I found it on a floppy disk (anyone remember those?) and was able to save it. So here from the archives of the black hole that swallows up ancient manuscripts, I bring you a fun, fast paced romantic comedy of a cowboy gone stuntman and a tomboy of a rancher’s daughter. Preorder Starstruck Cowboy now for only 99 cents. The price will go up shortly after release on March 23rd. 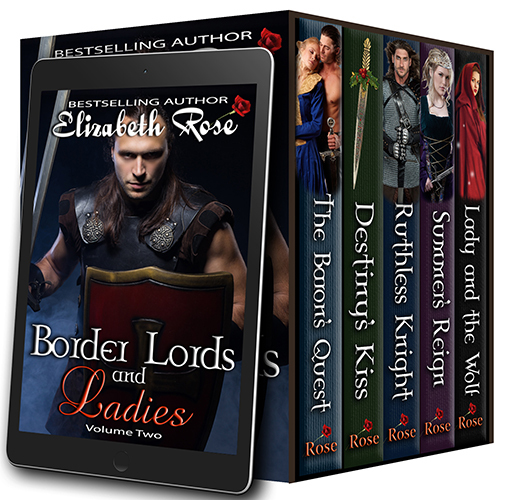 If you are looking for some historical romance, or even a book with a touch of magic, be sure to pick up Border Lords and Ladies Vol 2. There are five books in this collection, one book each from some of my bestselling series. 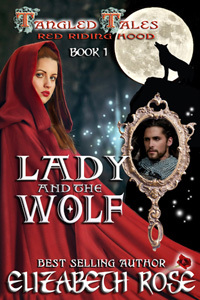 The last book, Lady and the Wolf is a bonus book with some paranormal magic. The entire collection is only 99 cents and Kindle Unlimited reads free. But this is a very limited time offer, so don’t wait! Get your copy today. Speaking of Kindle Unlimited, if you are a member, you can read Border Lords and Ladies Vol. 1 as well. Or you can buy it for $9.99. Special Deals for the week! As promised, I have a special deal on one of the books of my Tarnished Saints Series for the week. I chose one of my favorite books of the series, Judging Judas – Book 3, which is only 99 cents through May 27th. Twelve brothers growing up together can’t be easy. Judas did some things he’s not proud of, and is trying to make amends with his brother, Levi, for being the one to send him to prison. Returning to his hometown as Sweet Water’s sheriff, Judas has a lot of work to do. The town is after him to make Levi take the goats off of the roof of his diner. But that is the least of Judas’ problems. When a pregnant teenage girl steals his squad car, he meets up with the girl’s mother, Laney McDermott – the girl he left at the altar in his younger days. And the surprises get worse when he realizes he has just arrested his own daughter! Pick up your copy of Judging Judas for only 99 cents while the deal lasts. And don’t forget that you can read the prequel of the series, Tarnished Saints’ Christmas, for FREE on all venues. After you collect your free copy, you can pick up the audiobook for a discounted price. Watch for your email next week to find out which book of the Tarnished Saints Series I will be giving away for free! Speaking of audiobooks, I have some exciting news for my historical readers. The very first series I ever wrote, Legacy of the Blade is in the process of being re-edited and put into audiobook form. 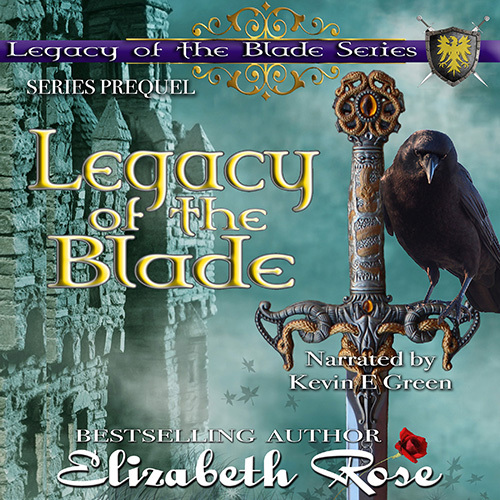 The Legacy of the Blade Prequel is already available in audio, narrated by a new narrator to me, Kevin E Green who is from the UK. You have to hear his wonderful voice. He brings a whole new depth to my stories with the way he reads the books. 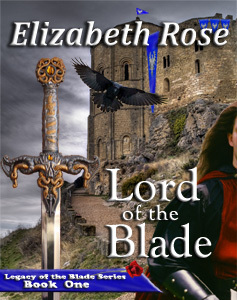 He will be narrating the rest of the series too, and you can expect to see Lord of the Blade – Book 1, (the first book I ever wrote) in audiobook form this summer! If you’d like to hear a sample of the prequel, you can click on the cover to go to my amazon page to play the sample there, or to pick up your free copy of the ebook. 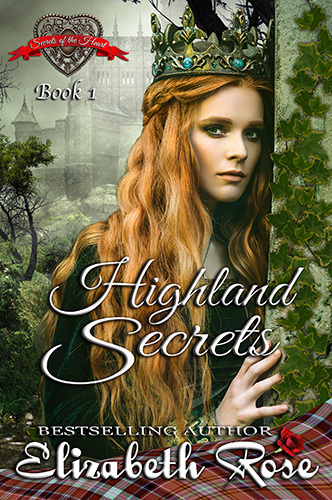 I am also happy to tell you that I’ve finished Highland Secrets – Book 1 of my Secrets of the Heart Series. You can preorder your copy now, and it will be delivered right to your e-reader on the release date of July 6th. I have all the covers for the series finished and I will say I think they are my best covers yet. I have included a tease of the cover Seductive Secrets – Book 2, Willow’s story – coming soon. Oh, and Fia’s younger sister, Morag plays a big role in the series. I have decided to add a fourth book to the series so Morag will have her story told too. Here is a tease for the cover of Seductive Secrets, Book 2. Good news for my Western readers: Coming soon I will tell you about a new historical western series that is slated to release sometime next year. And check back next week to hear about a secret project I’m working on with six other authors. It is something you won’t want to miss! I will also have a special contest for you to enter. CONTEST WINNER of an audiobook of Lady in the Tower from my last post is Janet Turak. Congrats, Janet! 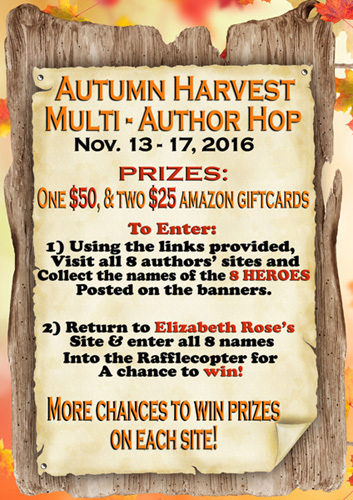 Enter the multi-author Autumn Harvest Author Hop to have a chance to win a $50 or one of two $25 giftcards. (Just follow the instructions below.) Each author also has another giveaway on her page with more chances to win. 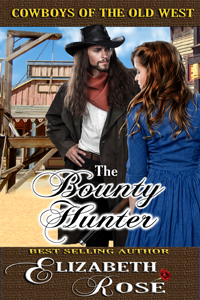 My featured hero is Chase Masters, a drifter who is mistaken for an outlaw. 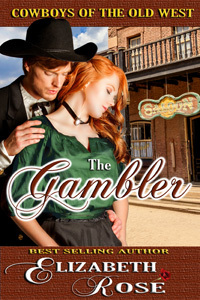 He shows up wounded at widow Nessie Pemberton’s stagecoach relay station and needs to earn her trust before she turns him away, in The Drifter. Each of the 8 books in the Hearts Ablaze set takes place in the west. For a limited time you can pick up the set for only 99 cents, so be sure to get yours today. PLEASE NOTE: You must enter ALL 8 names on the same line, just use commas. Rafflecopter will only give you one chance and lock you out. 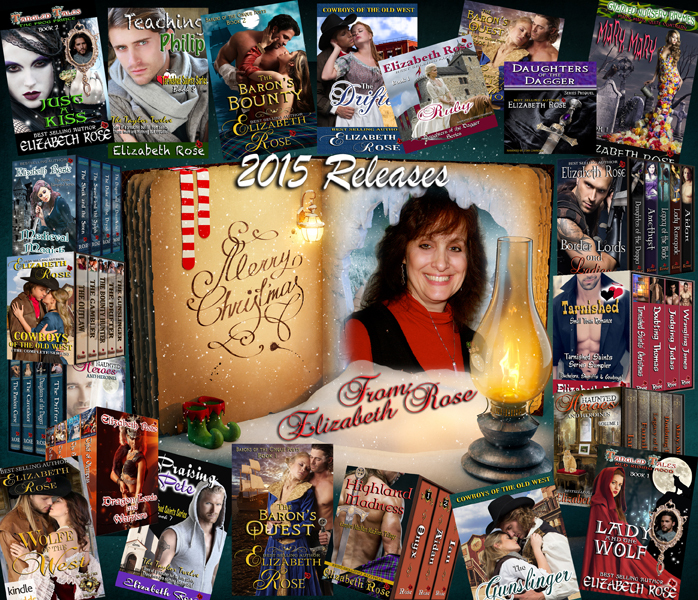 If there are problems, email me at elizabethrosenovels@gmail.com. Thanks! Second contest: Win a signed paperback copy of my latest release, Restless Sea Lord along with the small town contemporary Tarnished Saints’ Christmas, or five people will win a free audiobook of their choice from my audiobook library. Enter by using the rafflecopter below. 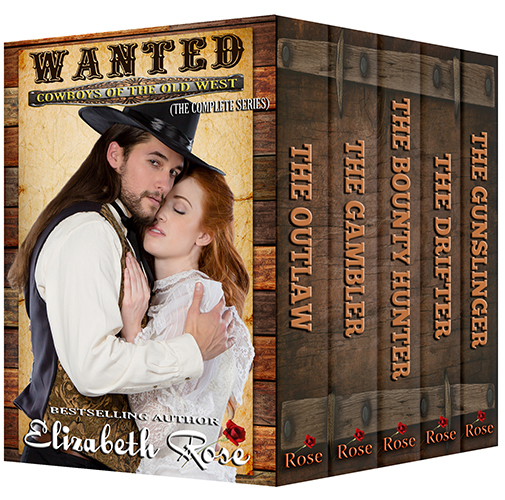 One more bonus to celebrate the Hearts Ablaze boxed set, from Nov. 13th – 17th, you can get a copy of The Outlaw, from my Cowboys of the Old West Series, One Red Rose, or The Pandora Curse from my Greek Myth Series for FREE! I’d like to wish everyone a Merry Christmas and Happy New Years. 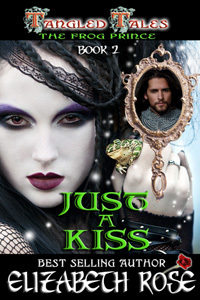 My new release, Just A Kiss (The Frog Prince) Book 2 of my Tangled Tales Series is now available! Arnon de Bar has just overcome one of Hecuba’s curses, only to be thrown into another. He is determined to have his own lands, castle, and wealth like his twin brother, so he competes to win Lady Freya’s hand in marriage. But Freya isn’t your normal lady. She is a swamp witch who has plans of her own. For Christmas, I have some specials for you. 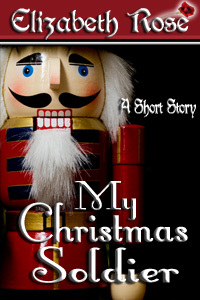 Right now you can get My Christmas Soldier for free, but only for a few more days, so act quickly. 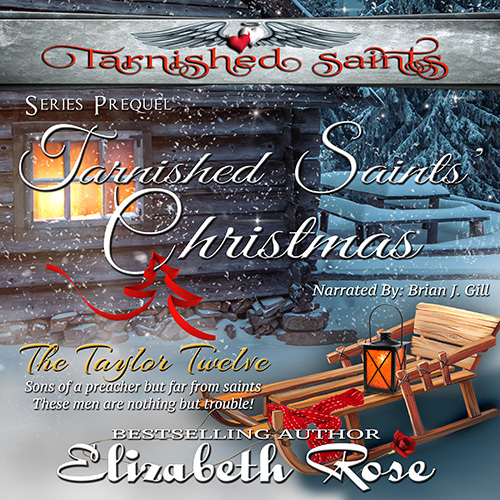 And watch for Tarnished Saints Christmas coming up free for a few days as well. The Baron’s Bounty Book 2 of my Barons of the Cinque Ports Series is on kindle countdown right now, and discounted for a few more days too. I have many exciting releases coming up in 2016 which includes a very special surprise coming to pre-order Jan 1st. I will give you a hint – it has to do with Vikings! Watch for more audiobooks as well as my books breaking into the foreign market in the next year. 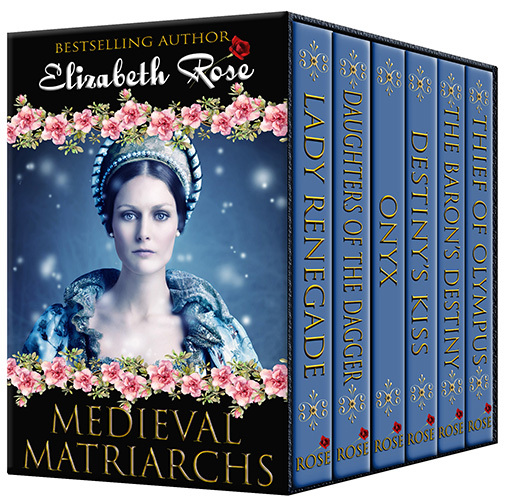 I have a new medieval series planned for 2016, and in Jan. and Feb. you’ll see the releases of The Baron’s Destiny – Book 3 of my Barons of the Cinque Ports Series, and Loving John – Book 9 of the Tarnished Saints Series. Also, Beast Lord (Beauty and the Beast) Book 3 of my Tangled Tales Series. You can also plan on seeing some of my books appearing in multi-author boxed sets in the new year, and I have some of my own boxed sets planned as well. Thank you all once again, and have a safe and happy holiday season! Thanks everyone for entering the contest! The winners have been chosen by rafflecopter and have been contacted and the names posted below. Join in the fun to celebrate Kathryn Le Veque’s new kindle World of De Wolfe Pack with the 16 authors who have written books in her new world. 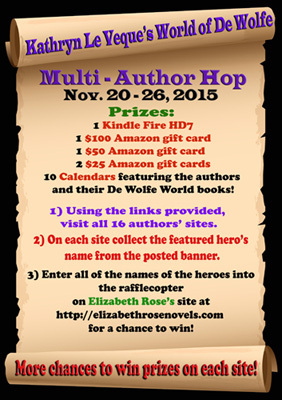 The multi-author hop runs from Nov. 20 – 26 with lots of wonderful prizes including a kindle fire HD7, amazon gift cards, and calendars that feature the De Wolfe World authors and their books. My hero, Billy de Wolfe, (Wolfe) in Wolfe of the West is visited by the ghost of Kathryn’s famous William de Wolfe and reminded of how important it is to run with the de Wolfe pack once again. Wolfe returns home to face his childhood sweetheart, Lexi Marquardt, and things heat up between them in more ways than one. My upcoming release is Just a Kiss – (The Frog Prince) Book 2 of my Tangled Tales Series that follows Lady and the Wolf – Book 1, (Red Riding Hood). 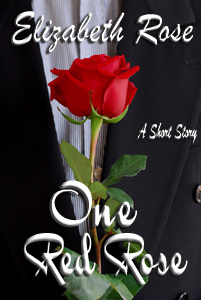 It is available for preorder now for only 99 cents and will be released on Dec. 4th. 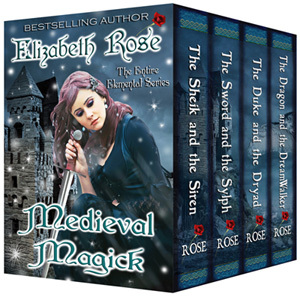 If you like boxed sets, I have boxed up the entire Elemental Series in Medieval Magick, and for a limited time you can buy it for only 99 cents. 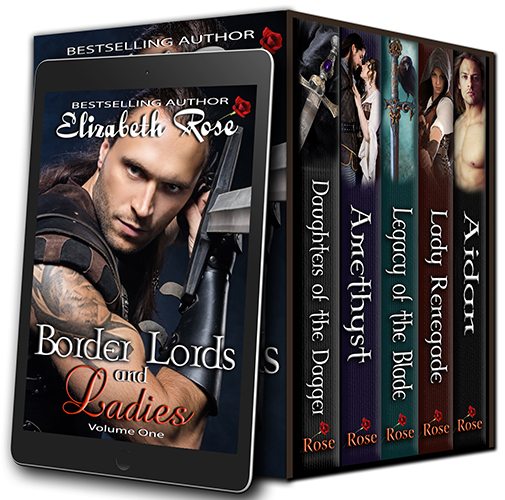 Medieval lovers will also want to try my Border Lords and Ladies Boxed Set sampler for only 99 cents too. 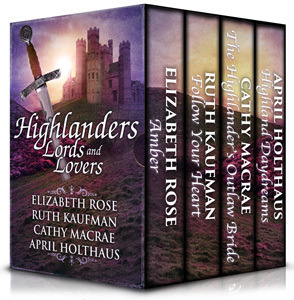 And special for the hop I’ve decided to run a kindle countdown on my Highland Madness Boxed Set, which will start at 99 cents on Nov. 20th, so be sure to pick one up before the price begins to change. To enter the contest, go to the rafflecopter below where you will also find the author links. 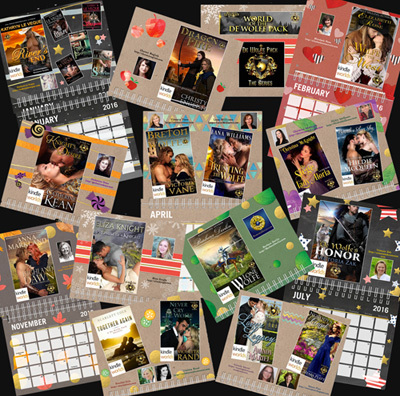 As a second contest, I am personally giving away 5 copies each of my new audiobooks, Daughters of the Dagger Prequel and The Baron’s Quest – Book 1 of the Barons of the Cinque Ports Series, as well as a calendar featuring all of my own books. 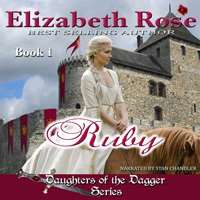 Watch for Ruby, Book 1 of my Daughters of the Dagger Series to be in audiobook form next month. 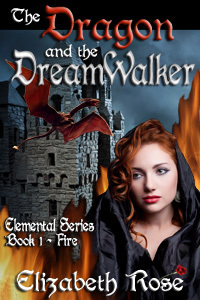 I have some kindle countdown deals going, and today, Nov. 11th, you can get Lord of the Blade – Book 1 of the Legacy of the Blade Series, or The Dragon and the DreamWalker – Book 1 of the Elemental Series for only 99 cents! The prices change every day or so for the next few days, until it hits the regular price again, so grab them while they last. 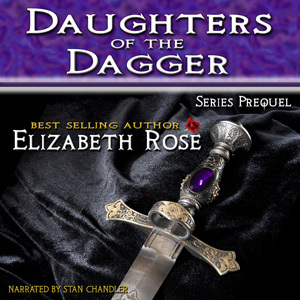 I also wanted to let you know that the audiobooks for both The Daughters of the Dagger Prequel and The Baron’s Quest are now available. Click the photos and listen to samples of the audiobooks off the amazon page. And watch for the audiobook of Ruby – Book 1 of the Daughters of the Dagger Series coming this Christmas! 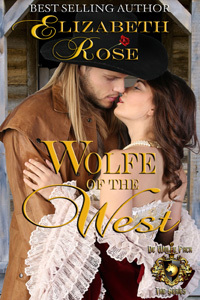 Also available now is Wolfe of the West, the western I wrote that is part of Kathryn Le Veque’s new kindle World of de Wolfe pack. Watch for a mulit-author hop and tons of prizes right here coming up in a little over a week. And there’s only 4 more days until the release of Lady and the Wolf – Book 1 of my new Tangled Tales Series. You can get it on pre-order now for only 99 cents! Happy early Halloween everyone! I am happy to say I’ve started a new series called Tangled Tales. 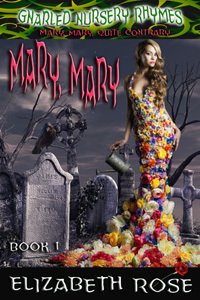 Each book is the twisted, tangled, romantic retelling of a fairy tale. Book one is Lady and the Wolf (Red Riding Hood) which is now available for pre-order for only 99 cents! Release date is scheduled for November 15th. Watch for more Tangled Tales coming soon. Also, October 29th is the release date for Wolfe of the West. This is a book that will be part of the launch for Kathryn Le Veque’s new de Wolfe World in Kindle Worlds. Here too is a sneak peek of the cover of The Baron’s Destiny, Book 3 of my Baron’s of the Cinque Ports Series which is scheduled for release the beginning of December. 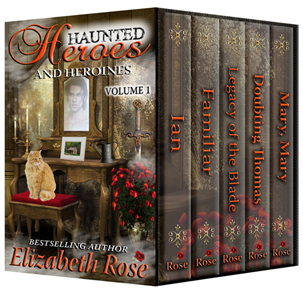 Don’t forget about the boxed sets Haunted Heroes and Heroines Vol. 1 and Vol. 2 you can get for only 99 cents, or read for free if you belong to Kindle Unlimited. Each of the books in these sets contain heroes and/or heroines who are haunted by either an outside force, or their own inner demons. These stories range from historical to paranormal to contemporary. Or if you like to savor the individual covers and buy your books separately instead, here are some of the books in the boxed sets that are also available individually and a perfect Halloween read. Almost all my books are in print form too, or will be soon, so watch for them. 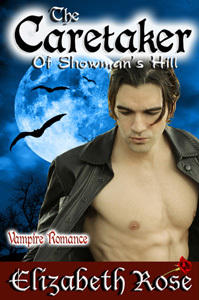 Have a safe and exciting Halloween, and enjoy the booktrailer from my vampire romance, The Caretaker of Showman’s Hill. I am excited to say I have many new releases lately. 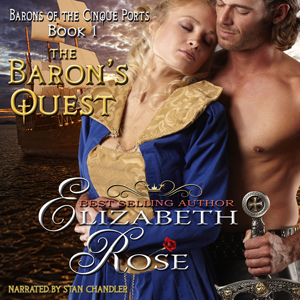 First off, today is the release day of The Baron’s Bounty – Book 2 of my Barons of the Cinque Ports Series. It is available in both ebook and print. Isobel MacEwen is sent as her cousin’s proxy to marry the English Baron, Lord Conlin de Braose. But before she leaves Scotland, she is witness to her king’s murder. The only evidence is a pair of shoes – and Isobel notices and loves shoes of every kind. 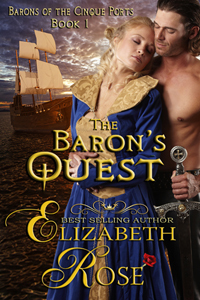 And for a very limited time, get The Baron’s Quest – Book 1 of the series for only 99 cents or free to Kindle Unlimited members. Watch for The Baron’s Destiny – Book 3 coming this winter. 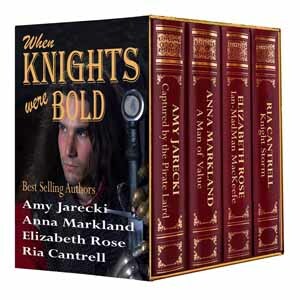 If you like boxed sets, don’t miss the When Knights Were Bold multi-author boxed set, Medieval Romantic Legends multi-author boxed set, or my latest personal boxed set just in time for Halloween – Haunted Heroes and Heroines Vol. 2. 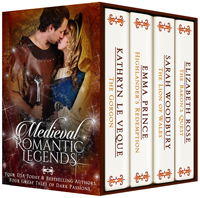 All the boxed sets are only 99 cents each, or free to read for Kindle Unlimited readers. And one special announcement, coming on Oct. 29th is the release of my book, Wolfe of the West (a paranormal western for all of those were were requesting one) that will be part of Kathryn Le Veque’s World of de Wolfe Pack – new to amazon’s Kindle Worlds. Watch for more info and another HUGE author hop coming next month with the authors from the de Wolfe Pack world. 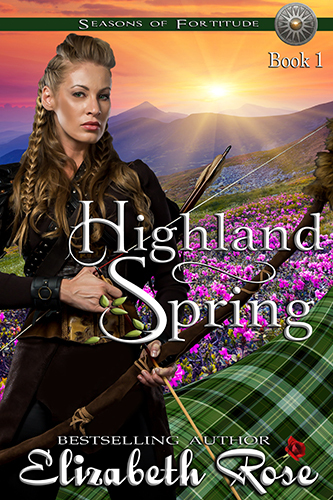 Please join in now in the author hop to celebrate Highlanders, Lords and Lovers. Hop to each author’s page, collect the names of the mystery icons, and return to my site and enter them into the rafflecopter to qualify to win an ebook from each of the 4 authors. My icon is the castle at the top of the page. Here are the names of the authors whose sites you will need to visit. It is followed by the rafflecopter, as well as one for a second contest to win some of my books as well. 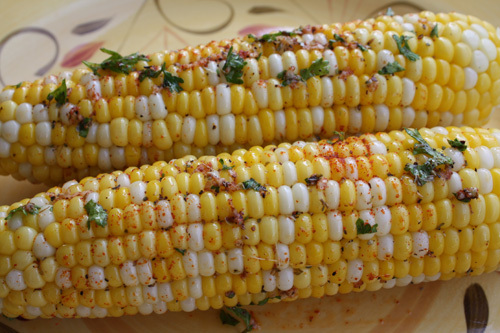 Hello everyone, and I hope you’ve enjoyed your summer. I’ve had a lot happening lately and would like to share some news with you. 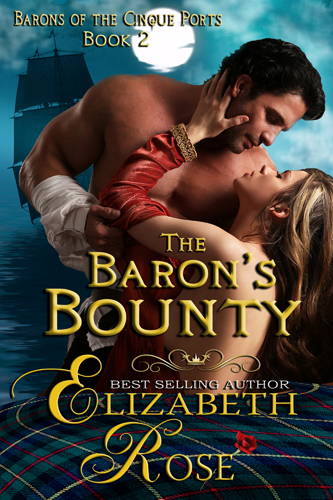 The Baron’s Bounty – Book 2 of my Barons of the Cinque Ports Series is now available on pre-order! (Release date Oct. 5th.) Isobel MacEwen is sent as her cousin’s proxy to marry Lord Conlin de Braose, Baron of the Cinque Ports. But before she leaves Scotland, she is witness to the murder of their king. Or almost a witness. While hiding in the bushes, she sees the shoes of the murderer as he walks by. Isobel loves shoes and notices everyone’s shoes as well as the gait of their walk. And now, a pair of shoes is her only clue to a murder. But when her ship goes down in a storm, she is saved by Conlin, and tho she’s only a proxy they fall in love, and things get very complicated. Be sure to read Book 1, The Baron’s Quest as well. (Audio book coming this month!) And watch for The Baron’s Destiny – Book 3 coming this winter. I also have refreshed some of my bookcovers. 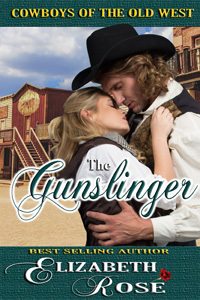 Here are the new covers for my westerns, The Outlaw, The Bounty Hunter, The Drifter, The Gambler and The Gunslinger. 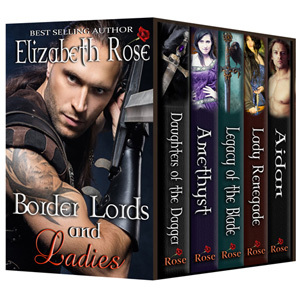 And the cover of my Border Lords and Ladies Boxed Set is new as well. 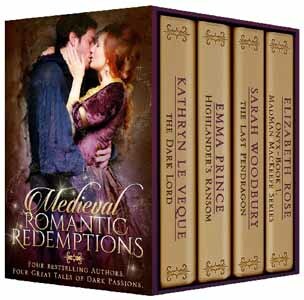 If you haven’t yet picked up a copy of Medieval Romantic Redemptions for 99 cents, this is your last chance. The set will only be available thru Sept. 30th, so don’t wait! I’ll be having a lot more announcements soon, as I’m involved in some exciting new things which I’ll be sharing with you later. After you sign up for my newsletter, enter your email to also subscribe to the blog you see on this page.